Valtteri Bottas hailed his Australian Grand Prix win as his “best race ever” after crushing the field at Albert Park. The Finn ended a 22-race wait for a win with a dominant display, which began by getting the better of team-mate Lewis Hamilton on the run to Turn 1. The day got even better for Bottas, who turned 25 points into 26 points after also bagging a bonus point for the fastest lap of the race. “I don’t know what just happened,” said a shocked Bottas before heading up to the podium. “The start was really good, definitely my best race ever, I just felt so good and everything was under control and the car was very good, I just need to enjoy today. But Bottas put his performance down to his mental approach following a tough 2018 campaign and a long winter break to reflect. “It is not just the breakfast, it is all the past years, the work in the winter, the work I’ve done inside here [his head],” he added. “I truly enjoyed it and it would not be possible without the amazing car. In the beginning it was about managing the race and I saw after five, six seven laps I was starting to build the lead. I knew I could do it, I have done it before. 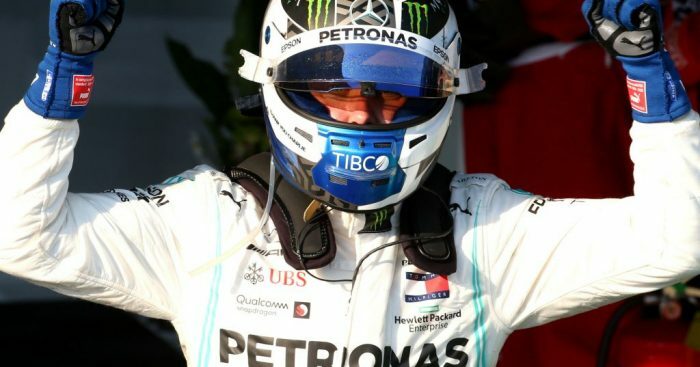 Mercedes boss Toto Wolff paid tribute to Bottas after been written off by many in 2018. “Valtteri deserved to win the race and controlled it,” Wolff said.